You might have heard about certain protections for whistleblowers in Florida, but how exactly does the law define a whistleblower in the public employment arena? And in practice, what does it mean to be a whistleblower at your public employer workplace? 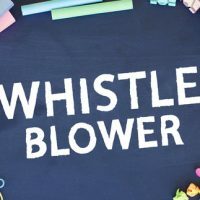 In order to help you understand what it means to be a whistleblower in Florida, it is important to understand what a whistleblower is, who can be a whistleblower, and what kinds of protections are available under the law to whistleblowers (protections, largely, from retaliation at work). In this article, we focus on whistleblowers under the Florida Public Whistleblower Act, which involves whistleblower claims against Florida public employers. However, there are separate and distinct whistleblower regulations if you are a federal employee or private employee. If you suspect illegal activities or wrongdoing in the workplace, but work for a private employer or federal employer/agency, it is important that you consult with an experienced employment attorney to understand your rights as well as the requirements for “blowing the whistle” at work and earning protections under those applicable laws. What (or Who) is a Whistleblower? Those who submit a complaint to the CIG, the Agency Inspector General, Whistleblower’s Hotline, or to the Florida Commission on Human Relations. Prong 2: Any act or suspected act of gross mismanagement, malfeasance, misfeasance, gross waste of public funds, suspected or actual Medicaid fraud or abuse, or gross neglect of duty committed by an employee or agent of an agency or independent contractor. To clarify, to be a whistleblower under Prong 1 of the whistleblower act, the action about which you’re complaining must not only include a violation of a federal, state, local rule, law, or regulation (or a suspected one), but it also must be something that creates and presents a substantial and specific danger to the public’s health, safety, or welfare. Alternatively, the second prong is broader as long as the action fits into one that involves gross mismanagement, malfeasance, misfeasance, gross waste of public funds, suspected or actual Medicaid fraud or abuse, or gross neglect of duty. Under the Florida Public Whistleblower Act, it is not enough to just send your complaint to anyone to get whistleblower protections. Instead, the Act requires that the complaint is put must be disclosed to any agency or federal government entity having the authority to investigate, police, manage, or otherwise remedy the violation or act, including, but not limited to, the Office of the Chief Inspector General, an agency inspector general or the employee designated as agency inspector general under s. 112.3189(1) or inspectors general under s. 20.055, the Florida Commission on Human Relations, and the whistle-blower’s hotline created under s. 112.3189. However, for disclosures concerning a local governmental entity, including any regional, county, or municipal entity, special district, community college district, or school district or any political subdivision of any of the foregoing, the information must be disclosed to a chief executive officer (as defined in s. 447.203(9)) or other appropriate local official. If you have questions about who you need to disclose the information to, it is best to consult with an employment law attorney. What Protections Are Available to Whistleblowers Under Florida Law? Under Florida law, it is illegal to retaliate against private employees who fall into one of the whistleblower categories mentioned above. For public employees who have suffered retaliation or another type of adverse action in the workplace, that employee should file a complaint with the Florida Commission on Human Relations (FCHR). The complaint must be filed within 60 days of the date in which the alleged act of discrimination occurred (i.e. the date of retaliation for the complaint). What Can I Get By Filing a Complaint? Temporary reinstatement of the employee to his or her position pending the outcome of the complaint. If you have concerns about potentially illegal practices taking place at your Florida public employer worksite, or if you previously disclosed such information and are facing retaliation at work, an experienced Florida whistleblower lawyer can assist you.